Your pets are as important to us as they are to you. FURology Inc in Santee, CA was established with the goal of offering the best pet care services for your most adored furred companions. Our excellent services and exceptional professionalism makes us the go-to pet care service provider of selective pet owners. All of us at FURology Pet SPaw are animal lovers and pet care professionals. As experienced “furologists,” we provide a nurturing and positive SPaw experience for your fur family. This is why we strive to know and understand your pets’ needs and go out of our way to build relationships with you and your furred companions. FURology was designed to provide comfort and care to both pets and their guardians. We have a spacious waiting area that offers room for enthusiastic pets or timid furred companions. Our SPaw also includes a bathing area, relaxation room, and salon space that were built to accommodate all sizes and ages of pets. We use natural salon pet products and offer customizable service packages designed by experienced Furologists with your pet in mind. We guarantee to give your pets no less than a great grooming experience each time you visit, providing serenity for your pet and peace of mind for you. Your FURology experience will begin with an assessment. This process may take a few moments to help insure the goal of providing an exceptional FURology experience. The SPaw process will proceed with a gentle and thorough two-phase bath, followed by a stress controlled hand dry and rest period in our temperature controlled drying room. For the final pampering we will brush, tidy, cut, style and glam your pet in our spacious salon area. Every step of the FURology experience will be monitored to ensure that your pet's care and comfort is a priority. 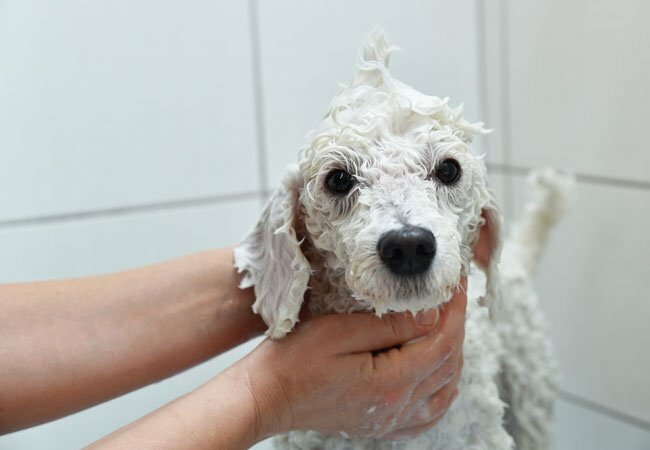 Pamper your pets by treating them to a day at a salon. For first-rate pet grooming services, turn to FURology Inc. Contact us today for more details! Our staff member will accommodate you and explain the various pet care services we have that meet the needs of your furred friend.